Cleverly crafted and bursting with country chic charm throughout, this bijou barn offers a blissful rural escape. Positioned roadside in a small hamlet, The Hay Loft with its glorious green surroundings provides a tranquil place in which to unwind and truly get away from it all. Don your walking boots and pack a delicious picnic; abundant wildlife and rolling countryside awaits you. A lovely walk from the cottage will lead you on to The Great Flat Lode, a 12 km circular trail in the heart of the historic mining district. This is truly a rambler's paradise. Equidistant from both the South and North coasts, amazing beaches await you in either direction. Sandy Porthtowan and Portreath on the North coast are popular with surfers and sunbathers alike whilst the turquoise sea of the Falmouth beaches on the South Coast are all within 30 minutes' drive. A favourite with the owners of this property, Gwithian Sands offers some of the nicest coastal walks, superb surfing, seal watching and arguably the best beach café. Paying a visit to iconic St Ives is a must. Enjoy browsing the many boutiques and art galleries, including the famous Tate Gallery. Stop for some refreshments at one of the many cafés and restaurants located around the pretty harbour. Fabulous Falmouth, also home to The National Maritime Museum, is within easy reach and does not need much introduction. For a different day out why not visit the quieter waters of the picturesque Restronguet Creek and take the opportunity to stop for some lunch at the well-known waterside Pandora Inn at Mylor Bridge. Inside inviting interiors blend modern furnishings with creative character features. This up side down retreat with spacious proportions offers two en-suite shower rooms. The first floor is home to a stylish living space with a roaring wood burner and a proper country kitchen/dining room offering all the mod cons including your own Nespresso machine. This is a terrific space to gather at the end of the day. For larger parties, we also let the neighbouring property Bolenowe Farm which accommodates five people. The two properties have a shared courtyard.Directly outside the property there is a large drop down to the gravelled courtyard, please supervise children. Reverse level accommodation. Two bedrooms: 1 x double with en-suite shower room with basin and WC. 1 x single with en-suite shower room with basin and WC. First floor kitchen with dining area. Sitting area with wood burning stove. Portreath 4.5 miles; Hayle 7 miles. Camborne lies in the heart of a former mining community and was well known for its “Queen of Cornish Mines" - the Dolcoath copper and tin mine, the deepest in Cornwall. Today, Camborne is home to Heartlands, a community space covering 19 acres and scattered with remnants of the mining industry, providing a free space for visitors to explore the heritage of Cornwall, browse art and craft projects, stroll through the gardens and sit and share a picnic or enjoy lunch at the Red River Café. From Camborne centre you can follow an interesting town trail, or spend the afternoon in the museum before visiting the array of shops and pubs. A ten-minute drive from Camborne brings you to a wealth of sandy Cornish beaches including Portreath, Gwithian and Porthtowan. Camborne is ideal for exploring Land’s End, the Lizard Peninsula, Truro and the Eden Project, which are all less than an hour’s drive away, ideal for a day trip. Note: no smoking. Note: Check in time for this property is 4pm. 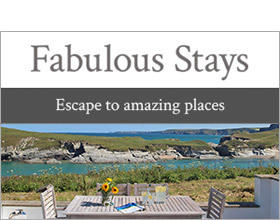 Sign up for our newsletter Receive our special offers and latest properties direct to your inbox.